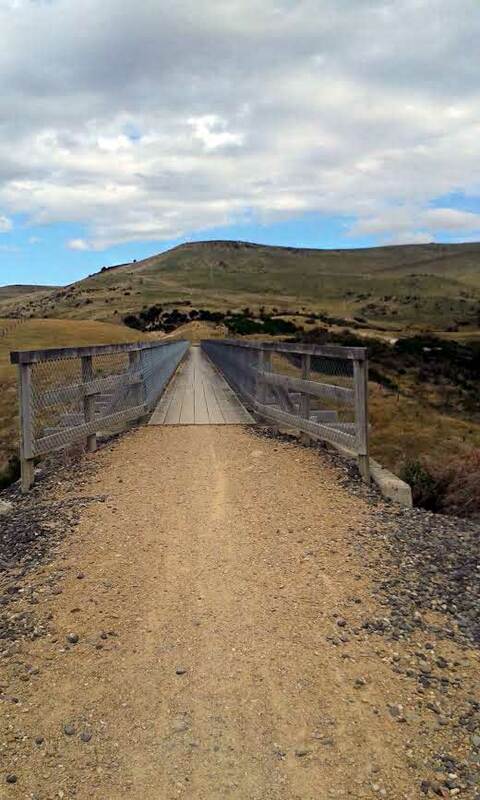 Wedderburn Station—little changed from when built in 1900—is one of the iconic landmarks of the Otago Central Rail Trail. 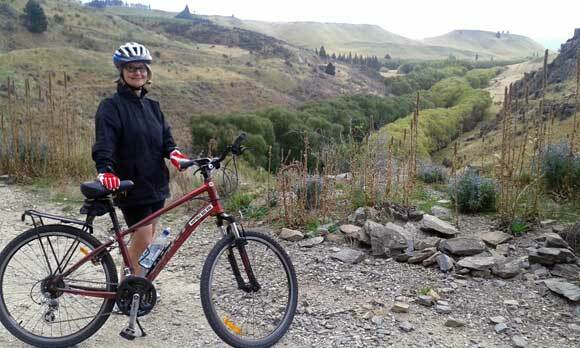 About six months ago some of my Wellington friends and I decided to cycle the Otago Central Rail Trail. 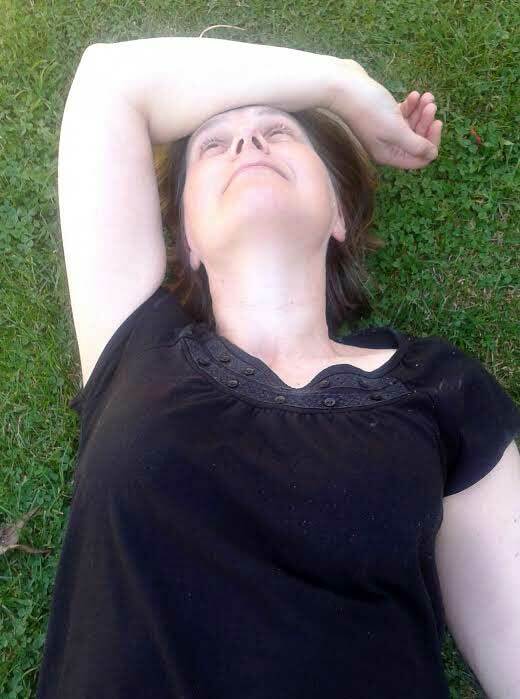 Coming from Dunedin, I love Central Otago and wanted to spend more time there and share the experience with my North Island friends. I booked flights, bike hire and accommodation for the 12 of us to ride the trail over 4 days in March. We needed to book early—March is one of the most popular months to ride the trail as the weather is warm and settled. I hadn’t done much cycling over the past 20 years, and I’m not particularly fit, but I had 6 months to get cycle ready. Somehow those months slipped by and by the time I started the trail I still hadn’t spent much time on a bike or got myself fit. But I discovered that if you can ride a bike and are in OK shape you can do it! You just ride as long as you have to each day, admire the glorious ever-changing scenery, stop frequently to look at historic sites, and enjoy the delicious food and southern hospitality at cafes and pubs along the way. It wasn’t particularly difficult and was great fun. We started in Clyde where our bike hire company provided us with bikes and helmets. 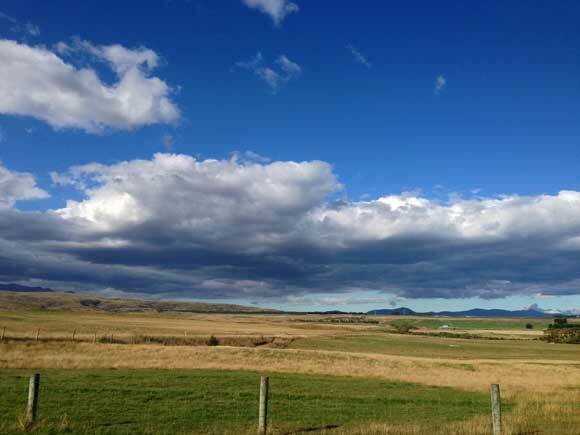 The weather was sunny and hot—we didn’t need all the merinos we packed and the long range weather forecast that predicted rain was completely wrong. 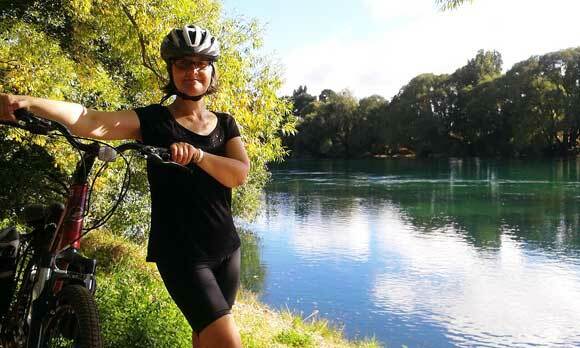 Our first ride was alongside the Clutha River from Clyde to Alexandra. This isn’t actually part of the trail, but is a very beautiful detour, especially in autumn. I was astonished I was actually starting the trip – my friends and family probably were too. From Alexandra we started the first long ride. It was very hot and I was extremely pleased to arrive at the Chatto Creek Tavern where we had lunch in another lovely garden. This was the theme of the next few days—ride and eat. We then rode the steepest part of the trail—Tiger Hill. The views were amazing, this was one of my favourite parts of the trail although it was an effort in the now extremely hot afternoon. We stayed in Lauder and had dinner at Lauder Hotel, run by former winemaker Knobby Clarke who has delicious Central Otago wines on his wine list and the obligatory blue cod and steak on the menu. The next day we rode over the Poolburn Gorge and through two tunnels. There were also some very long straight stretches and the challenging final climb to the highest point of the trail. 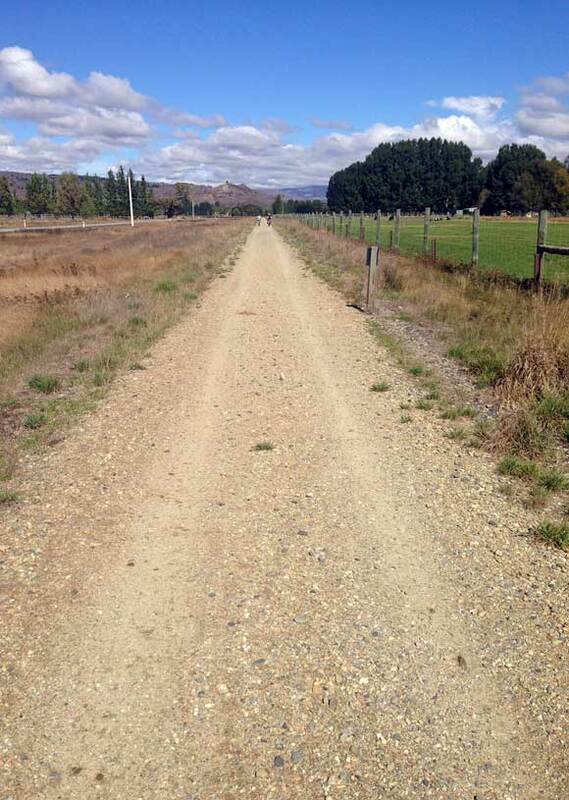 However the reward was a thrilling downhill ride into Wedderburn. We stayed at the adorable Wedderburn Cottages where each family had their own cottage and porch. 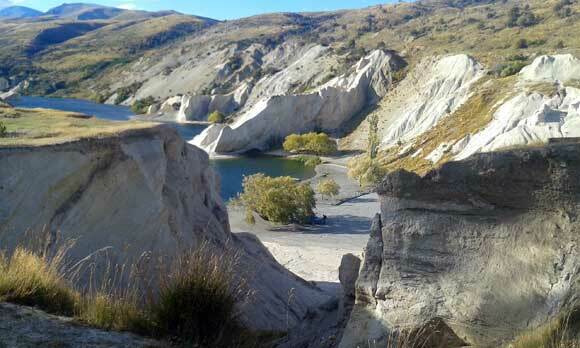 We had access to a car that evening and drove over to the historic town of St Bathans and its beautiful Blue Lake. 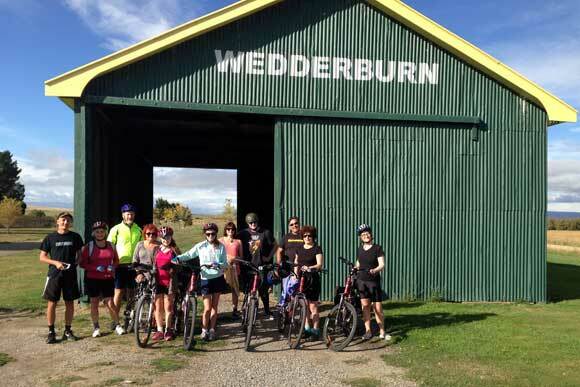 The next morning we started our ride at the iconic Wedderburn shed, made famous by Graeme Sydney’s painting. I’d hoped it would all be downhill rides from here, but there were still a few hills to climb. On the final night we stayed at Stanley’s Hotel in the old goldmining town of Macraes Flat (which now has an enormous modern gold mine). 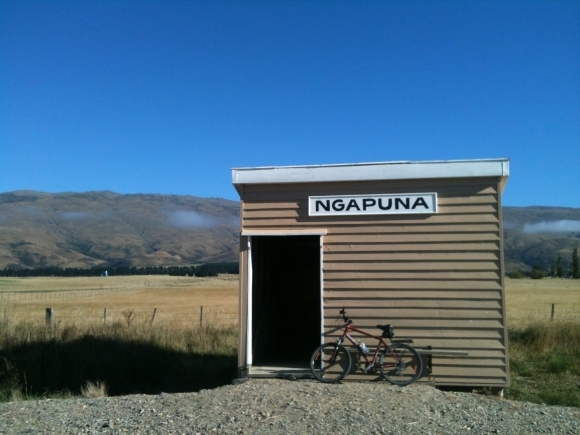 The last day’s ride was a quick downhill (finally) trip from Hyde to Middlemarch—and the 150 km cycle ride was over. We would ride about four hours a day, and most of our party rode at different speeds, so we often wouldn’t see each other until we met again at a sightseeing spot, lunch, or the end of the day. I was lucky that one of my friends rode at the same pace as me (slowly), and we were usually at the back of the group—but that was fine with us, we weren’t in any rush.